Blogging is big business, successful blogs have lots of visitors and can make money just by promoting other peoples products. A blog is a very inexpensive way of establishing an online presence, the value of this approach is that you own the blog and the domain name and customise it to be completely individual to your business. However you can do this even more cheaply by using one of the many available free blogs such as Blogger from Google. The idea is to use the blog to review a product and then drive traffic to the blog to sell the product via your affiliate link. Blogger is easy to set up and customise and easy to use here is an example of one of my own review blogs. Decide what type of product you want to promote and look for a suitable product on Clickbank, PayDot Com or a similar site and promote the product via your affiliate link which means that if a visitor to your review blog makes a purchase through your link you get paid. You will need to write a series of review articles about the product or the problem that you can post on the blog and then write a series of article to post on article sites to drive traffic back to your review blog. The way it works is that you write an article about the problem the product you are promoting solves; look at other articles on the same or similar subjects on the article websites to get an idea of the style of writing and the content. The traffic is driven by a clickable link in the resource box of the article that links to your review blog or the product via your affiliate link. Here is an example of one of my articles look in particular at the resource box and follow the links to see what I mean. The more traffic you can generate the more sales you will make. The disadvantage of this system is that results are not instant and it takes a while for the blog to be indexed by the search engine spiders. You will also have to provide new content on the website on a regular basis about twice a week. This is a lot of writing but if you use PLR (Private Label Rights) articles as the skeleton of your articles or blog posts it will cut down the writing time to a fraction of the time to write from scratch. 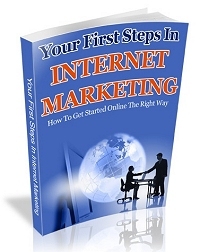 You can pick up PLR article very easily; probably the best way to does this is to do an Internet search or sign up to a free giveaway event and look for PLR articles or products. I will post a list of giveaways below here in the meantime have a look and see if you can find some PLR content for a free review blog. More soon Rob…. I had never heard of this before it does sound great, but I am finding driving traffic to my site is kinda tough and really slow. Maybe once I get traffic nailed I could look into this method of making money. Alex Neill recently posted..Big Big BIG News Got My First Sale Yeehaa! Hi Neil, its a bit of work to start with you need to post 2 or 3 times a week to get the blog ranked, if you are following a coaching program its very easy just do an update on that weeks training materials. Such a great post, on using ‘blogger’, as a review platform! they index them very high in their relevant search results..
Of course it depends on how powerful the niche is as far as ‘supply and demand goes? Your ‘blogger’ blog still gains you good fast exposure! http://www.weebly.com, I have two affiliate landing pages of my own. I create them as the review sites from my articles traffic! Anyway Rob great content as usual….Ed. This is a great way to affiliate market. Also giving away additional bonus when they purchase through your affiliate link, motivates them even more to buy from you. Also using auto-blogging plugins are another great way to publish content about your niche. Blogging is a very effective way to affiliate market like you posted here combined with article marketing is powerful. Hi Yoichi, the value of this is that it is a very easy way to promote affiliate products, today I even found a review blog promoting one of my own products!! How cool is that! Blogger is a great way to make money online and the good part is, it is free. Creating an account would be easy here but maintaining it is another story. Anyway, I definitely agree that Blogger can really help a lot and also optimizing your blog and particular posts on your blog could generate traffic and more and more people will gonna read your blog, thus it means more income though it is not an instant money. Patience is also a key here. Found your post pretty interesting. I have heard so many different opinions about writing reviews. First they say that the search engines don’t like them and won’t rank them yet people seem to be still doing really well in this area. Just scratching my head over this particular topic. Your advice is really good though for the different ways to go about creating your content. 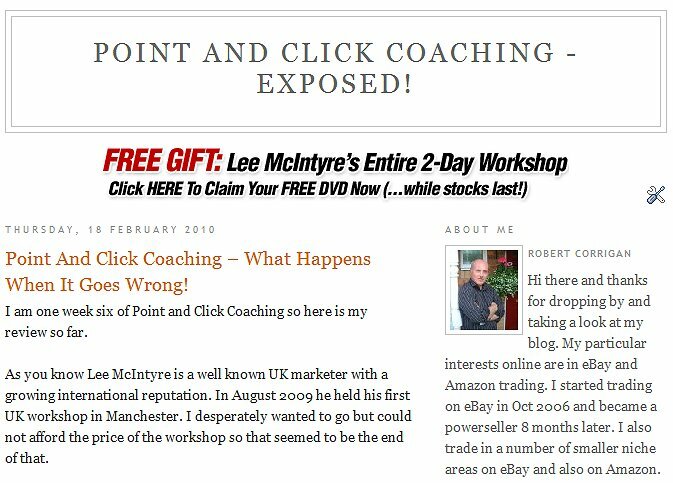 Have used some PLR articles in the past myself to fill a blog and it worked really great. Appreciate your view point on this subject and you really got me to thinking again. Adrienne recently posted..Traffic Update Here I Come! First of all Robert, I went to comment on your last post and clicking on the comments button resulted in the message Error 404 – Not Found. Perhaps this is why you have no comments showing for the post? This post on review blogging is something I will look into and the beauty is it’s free. As Ed says I suppose it makes sense for Google to index their own blogs high in the search results. Hi Bill think I know the problem I made a bit of a mess and origionaly had this post as a page. Thanks for pointing it out. Hi Adrienne, thanks for visiting, found out something really cool yesterday someone has produced a review blog for my product 12 Roads to Success, how cool is that. Could you just get more detailed on how you promote your product-marketing-blog? Hi Amr, great question, my most recent post give you some sources of for content that you can use. Lok for my next post which will be about driving traffic to your review blog. Another great post buddy! It has given me some great ideas which I need to slot into my plan for 2011, its also good reading the comments from other bloggers too, its amazing what you can learn! Yep, using a blog to promote products as an affiliate is a great way to get started, although the biggest challenge here will be getting traffic. Free traffic is the way to go! It takes time, effort and patience but once the traffic starts rolling in, it’s hard to stop, even if you wanted to.